Image courtesy of DNA India. On December 17th, a group of women brought together by Twitter were gathered in Bengaluru to discuss empowering women in technology, and furthered the dialogue surrounding opportunities in innovation and accessibility and equity. But while there is progress, there is a long way to go, and advocates for change face significant barriers in their paths to pursue new careers and bring women into STEM fields. 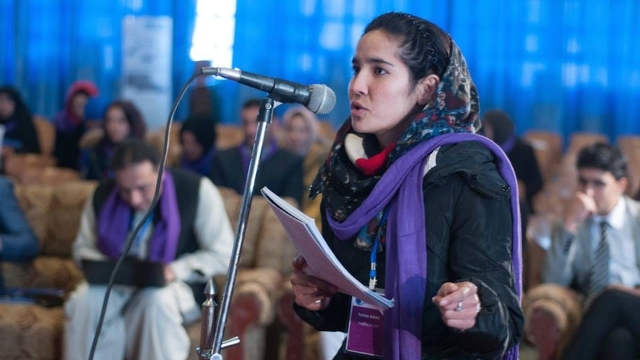 A much smaller and far more unlikely, but just as needed, gathering took place in war-torn Kabul for the TechWomen summit, in which young Afghan women congregated to discuss the merits of coding initiatives and employment. Questions ranged from how women could get involved despite societal restrictions and how they may succeed in the field. As women are typically discouraged from pursuing fields related to technology in Afghan societies, the summit was a small victory, with the First Lady of Afghanistan Rula Ghani speaking and encouraging women to pursue these fields, and arguing that entrepreneurship and technology are some of the best fields for Afghan women, as they have mobility and the opportunity to work from home as well much of the time.